The provincial portion of the Harmonized Sales Tax is about to drop to two per cent on all new homes sold for $850,000 or less, a move widely praised by those in the beleaguered home building industry. Announced by Finance Minister Kevin Falcon on Friday, the move is meant to help smooth the transition from the HST back to the old PST. “The rules we are announcing will ensure that purchasers and builders are treated equitably throughout the transition period,” said Falcon, adding the new home sector is one of the most complicated areas for the transition. On Friday, Falcon officially confirmed the province will return to the PST on April 1, 2013 â€” a date he called the earliest moment that government could “responsibly” accomplish the transition. To help ease the transition in the sale of new homes â€” where an overnight move from HST to PST would have led to a dramatic change in prices â€” Falcon announced that on April 1 of this year, his government will significantly increase the threshold for its HST rebate program. The move means new homes costing up to $850,000 will now be subject to only two per cent of the provincial portion of the HST, as opposed to the full seven per cent. Currently, only homes up to $525,000 qualify for that rebate program. Falcon said his government is also introducing a similar rebate for new recreational homes that are outside the Capital and Greater Vancouver regional districts. Currently, there is no HST rebate for new second and recreational homes of any price anywhere in the province. As of April 1, Falcon said, new recreational and secondary homes outside those two regions will qualify for the rebate if they are sold for $850,000 or less. The five per cent federal portion of the HST charged on new homes will remain unchanged in the transition, officials said, adding the federal HST/GST rebate programs will also not change. Falcon said he chose the $850,000 level because that captures about 90 per cent of the market, adding people who pay more can clearly afford to absorb a bit of a hit. “It’s my view that those who are able to afford to purchase homes $850,000 and higher don’t require the same level of support from their government as those who are purchasing up to $850,000,” he said. He added that mega homes will qualify for the rebate up to the $850,000 mark, and that the full seven per cent provincial portion of the HST will be charged on any amount above and beyond that point. Falcon also announced Friday the government is introducing a two-year transition tax for homes built while the HST is in place, but sold after the PST has been reintroduced. That two-per-cent tax will take effect April 1, 2013 and will apply to new homes at all price points. Falcon said the measure is meant to ensure people building or buying a home before and after April 2013 are treated equally. “If you did not do that “� you would create a market distortion such that effectively you would create a Wild West in the building industry,” he said. The two-per-cent number is significant, Falcon said, because that is the rough amount of tax that is embedded into a new home that is constructed when the PST is in place. That is because under PST, tax is charged on building materials, whereas under HST materials are not taxed at all. Thus, the idea is that the two per cent tax rate will apply now in the form of the provincial portion of the HST on all homes under $850,000. It will then apply to homes built during HST, but sold under PST, in the form of the two per cent transitional tax. And, once the PST is back in full swing, the two per cent will be added to home prices in the form of an embedded tax. The measures were immediately celebrated by people in the home building industry, many of whom have been hard hit by the increased costs that the HST had meant for many consumers in the sector. “It’s everything we asked for and more,” said Peter Simpson, president and chief executive officer of the Greater Vancouver Home Builders Association. “They’ve neutralized the impact of HST,” he added. 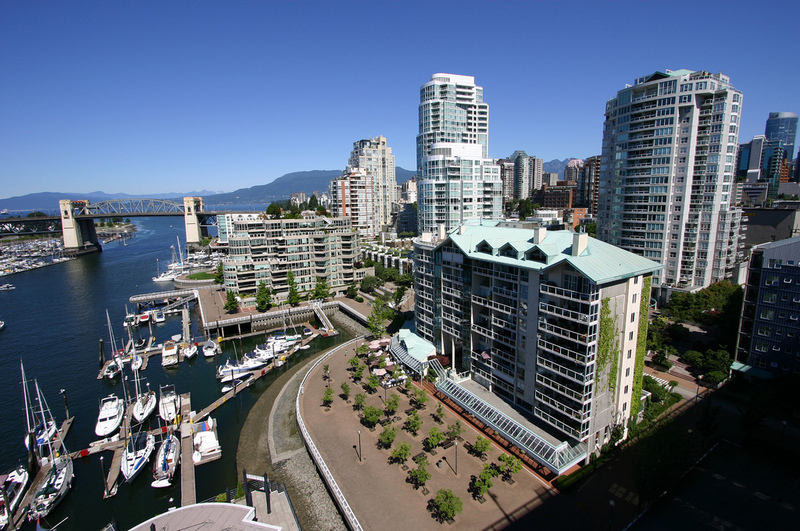 M.J. Whitemarsh of the Canadian Home Builders’ Association of British Columbia agreed. “I think it’s a good move on government’s part. It’s a bold move,” she said. “It’s something that’s got immediacy to it,” she added. New Democratic Party finance critic Bruce Ralston said he believes the announcement will be good for the home builders, but questioned why it took so long to announce. “Why it had to be delayed so long I don’t quite understand, given it’s a relatively straightforward announcement,” he said. Ralston added that he believes the most significant news from Friday’s announcement is that the HST will remain in B.C. until the end of March 2013. “That confirms it’s going to take 19 months,” he said. If you have any real estate questions or if you are thinking of buying or selling your home, please do not hesitate to email James Chung, Greater Vancouver REALTOR® at [email protected] or call ( 6 0 4 ) 7 1 9 — 6 3 2 8 today!